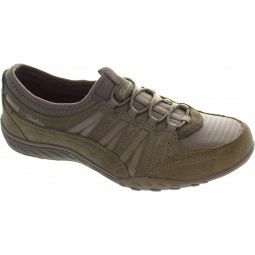 Soft pigskin suede and mesh fabric upper in a lace up high apex front sporty casual comfort trainer. Air Cooled Memory Foam cushioned comfort insole. Shock absorbing supportive midsole. Flexible rubber traction outsole.